Tokyo-based artist collective Chim↑Pom formed in 2005 in Tokyo while they were still in their twenties. Members Ushiro Ryuta, Hayashi Yasutaka, Ellie, Okada Masataka, Inaoka Motomu and Mizuno Toshinori respond instinctively to the real of their times, continuously releasing works that intervene in contemporary society with strong social messages. 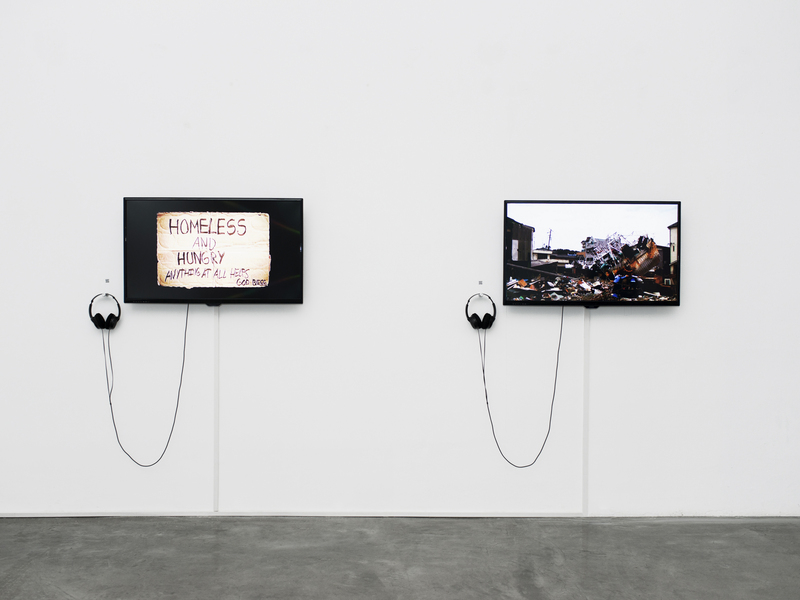 Although video is their primary medium, they work in a range of media, from installation to performance. While based in Tokyo, they develop their activities globally in exhibitions and projects in various countries. More recently, they have expanded their activities further to include the direction of art magazines, and exhibition curation. This video work was made in Fukushima in May 2011 and shows the members of Chim↑Pom members together with friends they made in Soma city doing 100 sequential yells of 100 KI-AI (100 Cheers), which is Japanese for shouts showing a fighting spirit. As Soma city was one of the affected areas of the Great East Japan earthquake, these people lost loved ones, their houses were washed away, and they spent over two months in the destroyed city despite fear of radiation. Unlike other areas intensively covered by mass media, this area had suffered from a shortage of volunteers probably due to it being so close to the Fukushima Daiichi Nuclear Power Station. These were real shouts filmed all in one-cut and ad-libbed, by the young locals who, although being victims themselves, had continued to provide relief and help towards reconstruction.